Providing you the best range of commercial humidifier with effective & timely delivery. We are expertise in offering our clients with an outstanding array of Warehouse Humidifier. We provide humidifers for food processing, fruit ripening, cold storage, textiles etc. 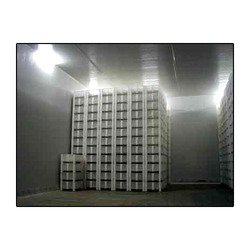 For very large rooms, we recommend use of our industrial humdifier models. Product carries a manufacturer's warranty of 1 year. Use of RO water is recommended for use with this system for longer life of parts and less maintenance.